Tori Yūraku Murray-Brand was trained as a Western flute player and has been playing shakuhachi (Japanese bamboo flute) for the past 15 years. 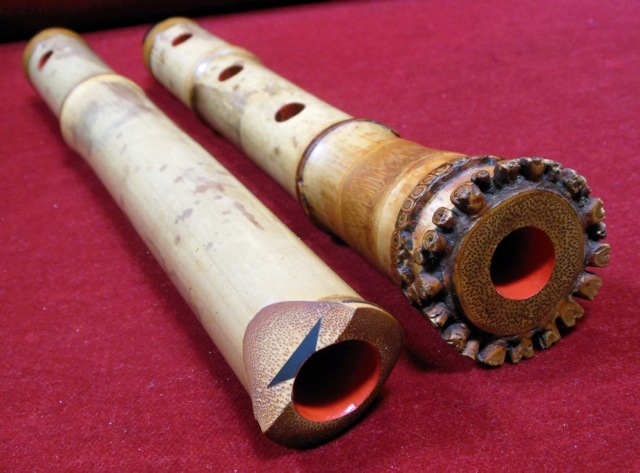 The shakuhachi is an end-blown flute made from the root end of bamboo. Its meditative music tradition goes back over 1,000 years and was associated with Zen Buddhism. Monks played shakuhachi as they wandered, begging for alms. Today, the sound of the instrument may be familiar to modern listeners from samurai or kung-fu film scores.